Other On-site Services | Hindson Marina Inc. Above and beyond those services already provided by our own certified technicians, Hindson Marina is pleased to offer our customers a number of independently owned and operated on-site services designed to meet your boating needs and make your stay more convenient and pleasurable. At Executive Yacht Canada, we are proud to be redefining the yacht experience. With the finest most sophisticated, stylish, tailor-made yachts that combine luxury, utility and safety to make the journey as important as the destination. Whether you’re boating on the Great lakes, Muskoka’s or the ocean, let Executive Yacht Canada be your ambassador to the experience of the Yachting world. Our team has the ability to provide you with expertise for all your boating services. 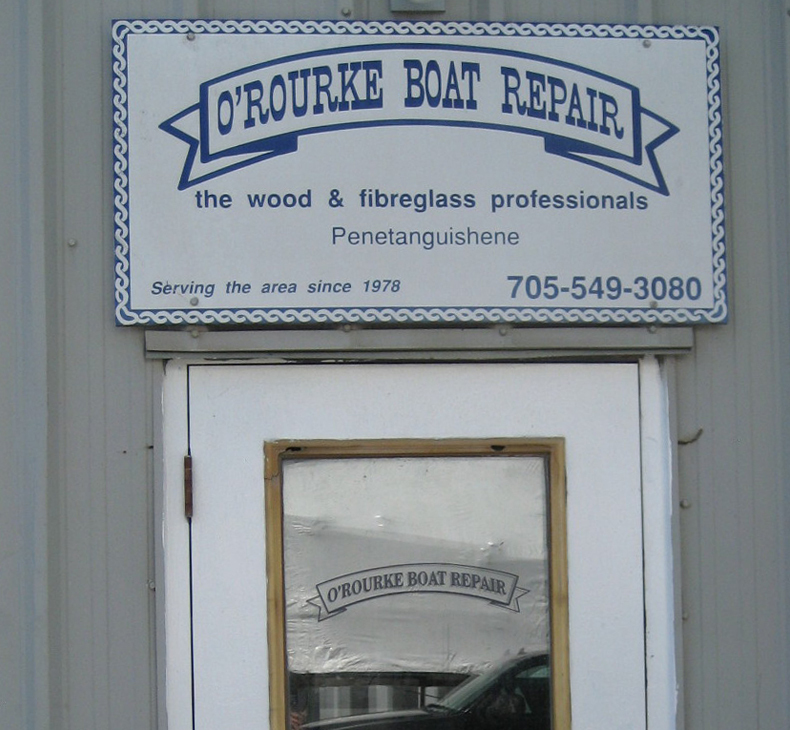 Conveniently located on the Hindson Marina property, Larry O’Rouke is renowned for fiberglass and marine woodworking repairs. Larry started out his 30-year career as a shipwright apprenticing under Charles Blondin specializing in planking, lofting custom fiberglass and painting. In the 80’s, Larry expanded his trade by studying cabinetry. He has a crew of three who each specialize in their own fields of painting, gelcoat and fiberglass, and woodworking. “We can build anything you can imagine…from a custom hardtop, aft deck enclosure, to a swim platform.’ O’Rourke Boat Repair is the preferred shop with an excellent rapport with insurance companies. He is here to handle your boat repair needs. 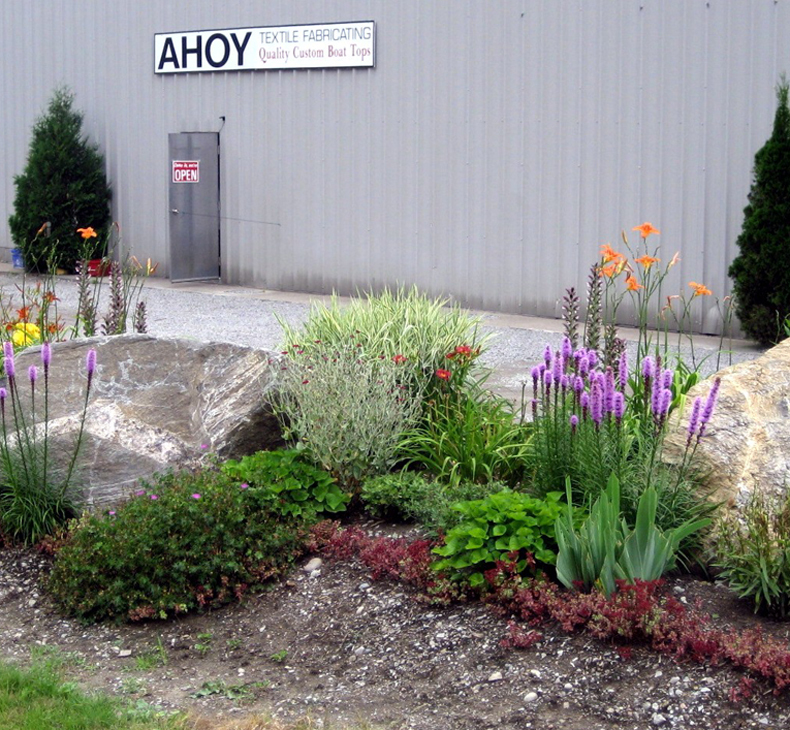 AHOY Textile Fabrication is another one of Hindson Marina’s on site services. Using the most modern and durable fabrics and vinyls, Paul and his team can custom make not only boat tops and enclosures, but are able to renew the interior of your vessel to give it new life, in addition to designing a plasdeck for your swim platforms. From Bimini tops to new seating, Paul Daigle can do it all! Woodwork by Kevin operates at Hindson Marina year round. 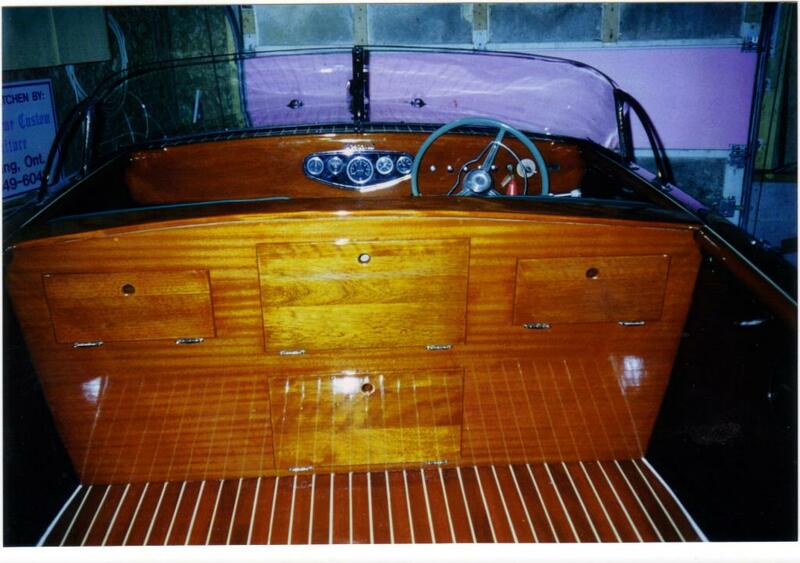 In business for over 18 years, Kevin is an expert in the field of marine carpentry and refinishing. He provides all types of woodworking and related services including varnishing and re-finishing, Cetol application, painted surfaces, dry rot restorations, impact repairs, interior renovations and cabinetry. Kevin’s skills range from replacing the bottom of a boat, to a complete renovation of the main salon on a yacht finished with cherry, solid surface counters, and leather couches. Whether your boat is wood, fiberglass, or aluminum, Woodwork by Kevin can help you transform your vessel into the dream you always imagined. This unique floating hotel is docked in the heart of Hindson Marina and offers well-appointed, spacious, on water accommodations. Rooms come equipped with two queen-size beds, flat screen TV, fridge, microwave, table and chairs, coffee machine and a three-piece bath. 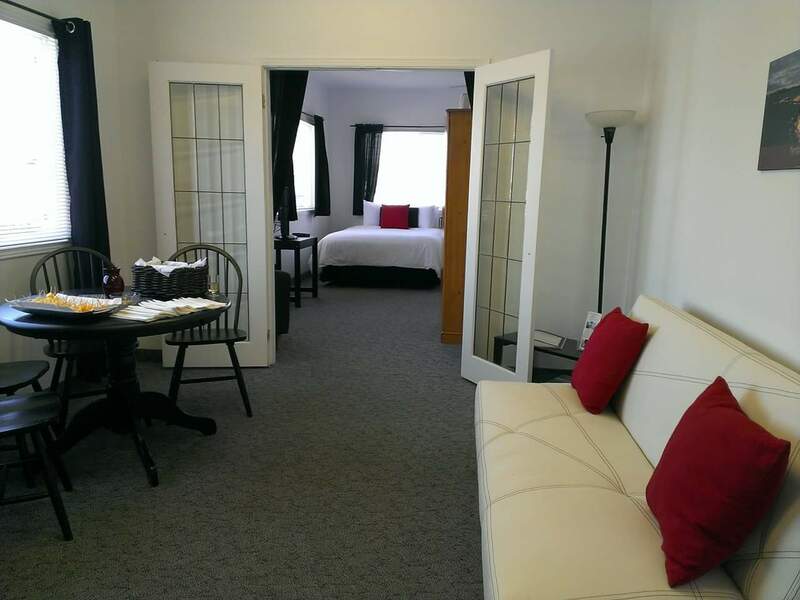 There is a spacious studio style suite that sleeps six in two queen-size beds and one pull-out futon. Guests can enjoy the large adjoining gazebo with gas grills and picnic tables, perimeter dockage (based on availability) and easy access to our heated pool. Pet friendly. During the boating season, Diverse Rentals rent Waverunners by the hour or day. Our 20' Pontoon Boats are equipped with BBQs and are for rent by the day, evening or week. We have captained cruises available. Different size ski boats, with varying power outboards for tubing, wakeboarding and waterskiing can also be rented. Imagine the fun you can have on Standup Paddleboards, kayaks and paddleboats. We rent it all. We Rent Excitement!